Prior to coming to the Bar, Mark Sullivan qualified as a Chartered Accountant and then worked for 14 years in international investment banking in London and New York. He is registered for direct access. Mark acts for both Claimants and Defendants in all types of personal injury actions. He has particular experience and expertise in employer’s liability, road traffic and fatal accident claims. His background in accountancy enables him to deal with complex financial loss claims including loss of self-employment, loss of business and pension claims. 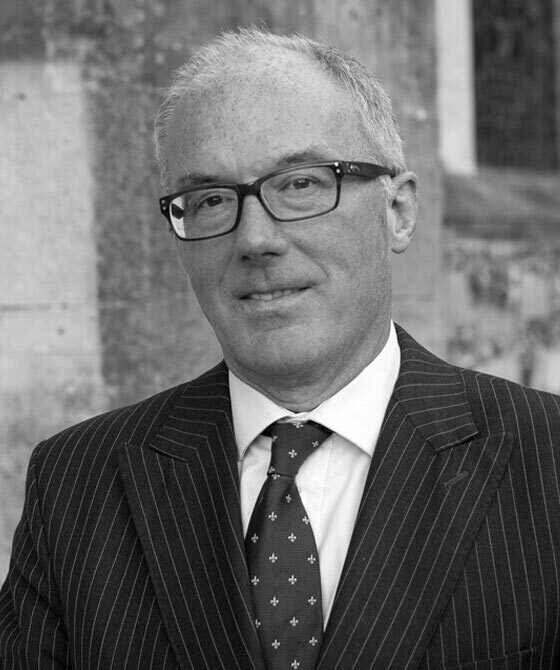 Mark has extensive experience of representing bereaved families, employers, highway authorities and other interested parties at Pre-Inquest Hearings and Inquests, including Article 2 Inquests. He acts primarily for Claimants in all types of clinical negligence actions. Recent cases include acting for Claimants in relation to delayed diagnosis of cancer, failure to diagnose acute respiratory failure in a young adult, negligently performed hysterectomy and injury caused by misplaced nasogastric tube. Mark brings his many years of experience as a criminal advocate to the field of professional disciplinary proceedings. He advises and represents firms and individuals before the disciplinary and fitness to practise committees of various professional bodies in the healthcare, accountancy, finance and related sectors. He sits as a Legal Assessor/ Adviser to a number of professional disciplinary bodies in the healthcare and finance sectors. Mark represents Commercial and Public Service Vehicle Operators in the criminal courts and appears frequently in Public Inquiries before the Traffic Commissioners. He also advises and represents individuals and firms before Admissions, Registration and Licensing Committees of various professional bodies and in the Tribunal System (Social Care and Social Entitlement Chambers). Mark acts for both Claimants and Defendants, particularly in relation to actions involving accountants, tax advisers, financial advisers and solicitors. C v H Ltd. – claim on behalf of mesothelioma victim who owned and operated a guest house with his dependent widow. He has appeared, primarily for Claimants, in a large number of cases involving breaches of all of the major sets of regulations. S v NHS – represented Claimant in case against NHS Trust for injuries sustained in an assault by a patient in a secure mental institution. He has also represented Claimants in relation to claims under the Construction (Design & Management) Regulations 2007, Control of Vibration at Work Regulations 2005 and Electrical Equipment (Safety) Regulations 1994, amongst others. B v W – acted for Claimant, a pedestrian who was knocked down by the Defendant. Liability resolved 70/30 in her favour. H v S – acted for Claimant in complex loss of earnings claim arising from loss of career as a foreign exchange trader. H v B – represented Defendant convicted of sexual offences; advising on quantum and negotiating settlement. In addition to acting in civil proceedings, he is frequently instructed by insurers to represent Defendants in related criminal proceedings for causing death by dangerous and/ or careless driving. Mark has extensive experience of representing the deceased’s family, interested parties, employers and highway authorities at Inquests. Representing family of bereaved at Pre-Inquest Hearings in relation to Inquest into death of elderly man following a cycling accident and subsequent hospitalisation. Cause of death was controversial and Mark was instructed to represent the deceased’s family, making representations as to the scope of the Inquest and the evidence to be adduced. Advising bereaved family, under direct access arrangement, following death of a woman while undergoing medical treatment. Advice covered scope and procedure of an Article 2 Inquest, witness requirements and possible sources of funding. Representing seriously injured interested party at Inquest involving a fatal road traffic accident, including examination of several expert witnesses and making submissions as to the available verdicts. Several cases representing Highway Authorities in connection with fatal road traffic accidents. Representing employer at jury Inquest involving death of employee while operating a ride-on mower. Mark Sullivan is registered for Direct Access. He has also specialises in Fatal Accident Claims (see Personal Injury entry) and has provided representation at Inquests under Conditional Fee Agreements covering a related civil claim.